The Newberry Library’s Hermon Dunlap Smith Center for the History of Cartography has announced its 2018 NEH Summer Seminar for K-12 school teachers, Reading Material Maps in the Digital Age. The four-week seminar, led by Dr. James Akerman (The Newberry Library) and Dr. Peter Nekola (Luther College), will focus on the practice of critically reading and teaching from original map documents, informed by the most recent cartographic scholarship. Material maps are still useful in our everyday life, but there is no question that teaching cartographic literacy is complicated by the advent of the digital age. If material maps are in fact fading in popularity, what pedagogical purposes can these objects still serve in K-12 humanities teaching? How can we learn from the material map’s physical presence, historical uses, and meanings? Grounded in the renowned map collections of the library, this exciting program will consist of seminar sessions, readings, workshops, field trips, and personal research. Applications are encouraged from K-12 faculty in all disciplines. Successful applicants will receive a stipend of $3,300 to help defray travel and housing expenses. The deadline for applying is March 1, 2018. For more information on the seminar, program faculty, stipend and housing information, and how to apply, please go to the Reading Material Maps website: readingmaterialmaps.wordpress.com . Check out DePaul University’s Department of Geography January Map of the Month! This month’s map, by Geography undergraduate senior Brooke Robinson, contributes to an on-going project by a Texas-based group working to ‘de-Confederate Dallas.’ Drawing on data provided by de-Confederate Dallas, Brooke constructed this map using Open StreetMap and Adobe Photoshop software. Brooke has developed her cartographic skills during her undergraduate career at DePaul and she recently received an Undergraduate Excellence Award from the IL Geographic Information Systems Association, a local professional organization. Read more about January’s Map of the Month here. Do you recognize this symbol? If you look close enough, this image is all over the city. It can be found on government buildings, bridges, memorials, on city works equipment (like power boxes and sewer grates), and even in the GSC logo! So what does it mean and why is it all over the city? 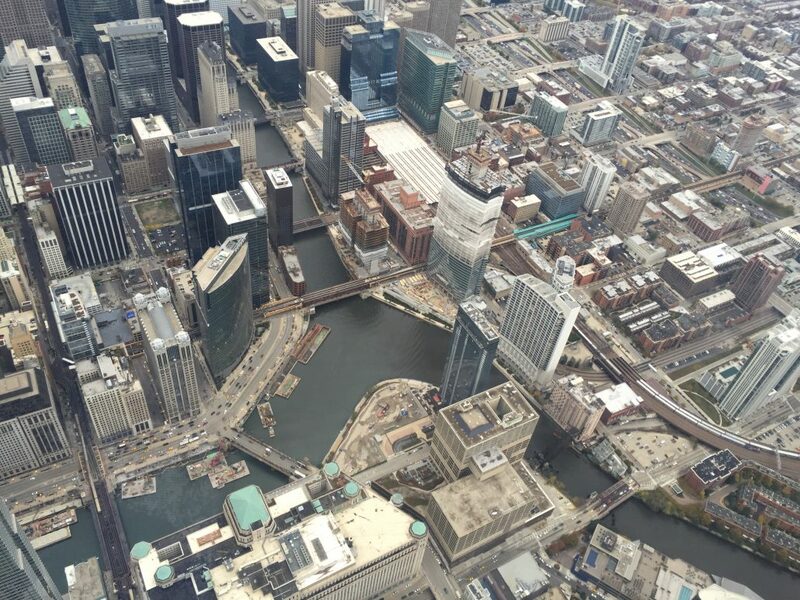 This image represents one of the city’s most fundamental and iconic features: the Chicago River. More specifically, it shows Wolf Point, where the river’s three branches come together. Here, the river divides the city into the North, West, and South sides. The ‘Y’ image was first created in 1892 for a contest run by the Chicago Tribune. In 1917, this symbol was designated as Chicago’s Municipal Device. This means that businesses, city departments, and citizens alike can use the image to symbolize the city of Chicago. While the ‘Y’ is universal, the user can change the colors to their liking. 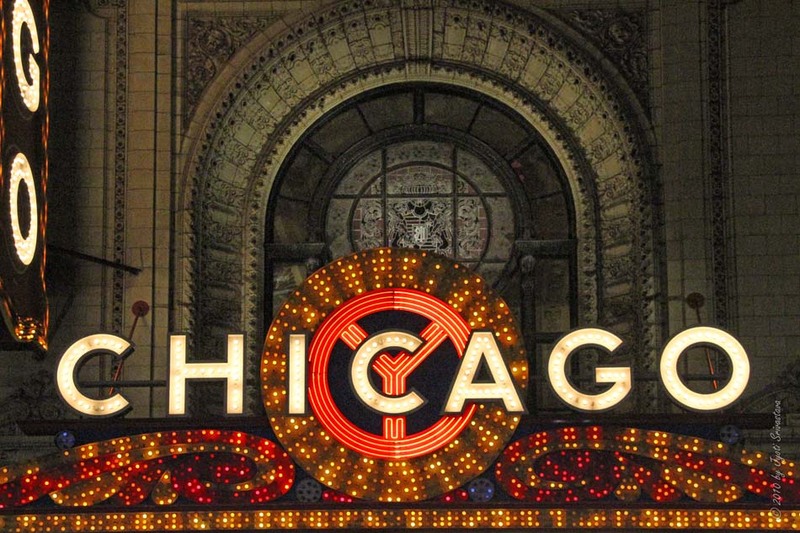 The ‘Y’ is one of the oldest signifiers of the city – even older than the Chicago flag! 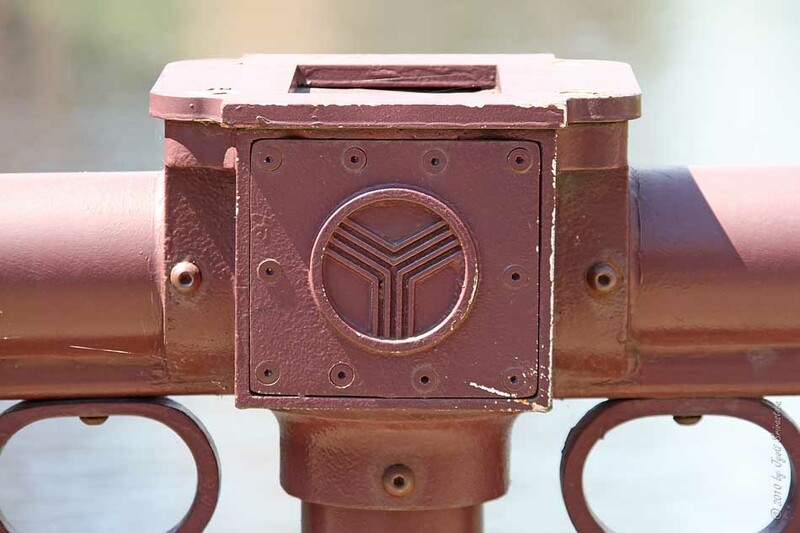 Though the symbol was less frequently used at the end of the 20th century, the iconic ‘Y’ can be found all over the city represented in a variety of mediums and colors. Other places that feature the municipal device include: the Chicago Cultural Center, City Hall, Millennium Park, Harold Washington Library, and, perhaps the most famous, the marquee of the Chicago Theater! Where else have you spotted the Chicago ‘Y’? Along with the Bean and the Willis Tower, there is one Chicago icon that is not only central to the city’s identity, but is used by tourists and residents alike on a daily basis: the ‘L’ (also known locally just as the CTA). Including both Chicago’s bus and train systems, thousands rely on this system to get to school, work, and around the city. Currently, the Chicago Transit Authority (CTA) manages the eight different train lines and roughly 130 bus routes running in Chicago and several nearby suburbs, such as Skokie, Evanston, and Oak Park. The CTA serves roughly 3.5 million people a day with an average of 515.3 million riders (bus and rail) during 2015. 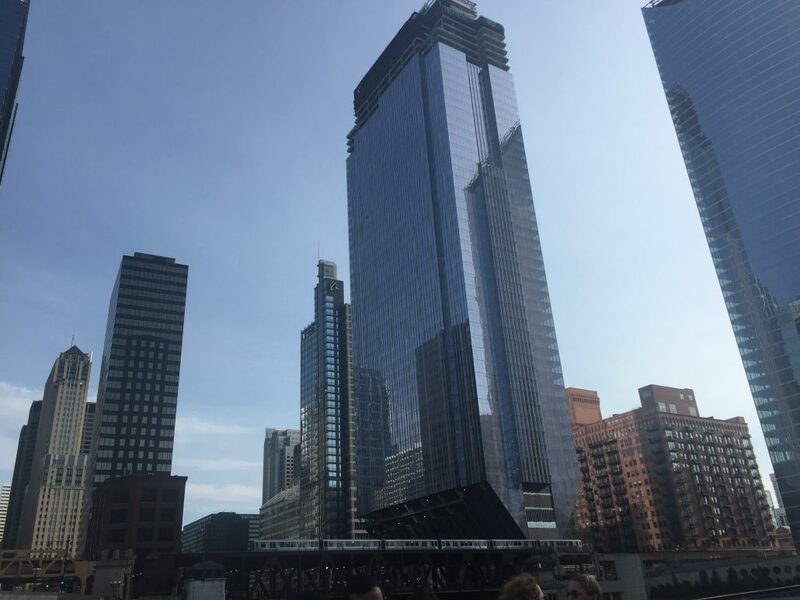 According the CTA’s website, Chicago’s public transit system is the second largest in the United States (after New York City), running 224.1 miles of track and roughly 1,300 miles of bus lines. The L also services both of Chicago’s airports (O’Hare and Midway), making travel into the city easy and inexpensive for visitors. But how did the Chicago Transit Authority come to be and acquire these vital train and rail lines, most notably the famous elevated tracks? Though the Chicago Transit Authority wasn’t established until 1947, the city’s first pedestrian rail lines (which would become the L) began running in 1892. The system expanded from its original parameters of Congress and 39th street after Chicago was chosen to host the 1893 Colombian Exposition. The first rail line, which is south branch of the Green Line today, now reached down to 63rd and Stony Island so visitors could get to the fair on these new trains. Until the opening of the CTA, however, each line was opened by a different company. The elevated (“L) Loop opened in 1893 and, as companies built more lines, Chicago’s downtown became a transportation hub of different trains. This lack of unity, however, led to fierce competition for ridership on the different lines and an increase in fares for those needing to switch between lines to reach their destination. The four original companies running Chicago’s elevated trains merged into the Chicago Rapid Transit in 1924 under the leadership of Samuel Insull, who was the president of what is known today as ComEd. Though Chicago’s trains improved after this merge, the government still had a minimal role in the transit system. This proved problematic at the beginning of the Great Depression, when huge ridership drops and financial losses forced them to step in. The Chicago Transit Authority officially took over for the Chicago Rapid Transit in 1947 and they have controlled Chicago’s public transit ever since.